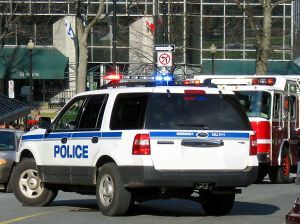 The fatal car accident occurred in the Roxbury neighborhood of Boston. One witness has said she heard the sound of tires squealing and then a very loud crash. She first thought it was a collision involving two cars, but tragically this was not the case. When she looked to see what actually happened, she saw a woman’s body in the middle of the road in an unnaturally twisted position. When she went closer, she saw the infant and also began hearing screams from others who witnessed the fatal Roxbury car accident. Witnesses called 911, and first responders, including Boston Police, quickly arrived on the scene. However, before they arrived, this witness, who has medical training, ran over and starting giving CPR to the child. She was in the middle of performing CPR when the paramedics arrived. The baby was not breathing, and there was nothing paramedics to do save the child. She was pronounced dead on the scene by the Office of the Chief Medical Examiner (OCME). The mother was in serious condition, and first responders provided immediate assistance and then transported her to the nearest level-one trauma center, which was Boston Medical Center. She is said to be in very serious condition, but doctors do believe she will survive the horrific ordeal. Police are still in the early stages of conducting an investigation into the cause of this fatal car accident involving a pedestrian, but they did observer approximately 40 feet of skid marks leading up to what is believed to be the point of impact. Witnesses say the driver immediately parked his car, got out and started “freaking out.” He was grabbing his head and running around saying “Oh my God, I hit the lady.” It is hard to imagine how anyone would react after hitting a woman and her child, so it did not appear the police were concerned with those statements. The driver who allegedly hit the woman and her child, thus causing the accident, remained on the scene and spoke with authorities. This was not a hit-and-run, and, as of this time, he was not charged with any crime in connect with the child’s death or the mother’s serious injuries. It should be noted, in addition to not being charged with a crime, the driver has also not been formally accused of any negligence in connection with this fatal Roxbury car accident. One issue that you should discuss with your experienced Roxbury car accident lawyer is the difference between being criminally responsible and civilly liable. These are two completely different standards, and it is entirely possible that a defendant may be negligent even though he or she has not broken any laws.